Memorial Day marks the unofficial start of summer for many families in the south central Pennsylvania area, and many choose to stay cool during the season by swimming in their own pool or by visiting one of the public pools in York, PA. Swimming can be a fun activity for all ages, but can pose serious risks. Below are a few tips to ensure you and your family stay safe. It’s important to be knowledgeable about water safety before swimming. While public pools are regulated and must follow certain laws and guidelines, injury and even death can occur if proper safety measures are not taken. Before diving into one of the public pools in York, PA, it is advisable to participate in one of the many regional swimming programs. Learning how to swim is the first step to ensuring your safety. Find some programs offered at the YWCA of York and the Jewish Community Center. 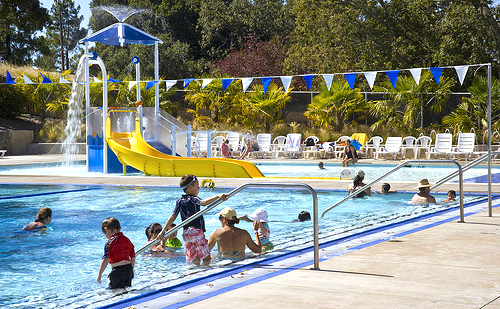 Be sure your public pool has a trained lifeguard on duty and abides by the CDC’s Model Aquatic Health Code and the recently passed Virginia Graeme Baker Pool & Spa Safety Act. Only dive from designated diving boards. Cover pools when not in use. Clean and maintain pools regularly using the appropriate chemicals. Cover drains, suction valves and pumps properly. Build childproof fencing around pools. Teach children to not swim or play around pools without adult supervision. Enroll in a CPR certification class. Even with lifeguards and new safety standards, accidents can happen while swimming. If you or someone you love suffered injury or death at a public pool, turn to our skilled team at Katherman Briggs & Greenberg. Contact us 24/7 for Results You Deserve®.